Improve your spine health with the benefits of BOTH chiropractic and traditional medicine. Dr. Arrington is a licensed Chiropractic Physician and Family Nurse Practitioner in Twin Falls, ID! Welcome to the Blue Lakes Clinics! Today, more than ever, medicine and chiropractic are equally important dynamics of effective spine care. As a licensed chiropractor and family nurse practitioner I have witnessed the benefits of integrative spine care in our patients. Spinal manipulation, physiotherapy, exercise, nutrition, and conservative non-surgical medicine each have an important role to play in a successful spine care and rehabilitation plan. The integration of chiropractic and medicine is being driven by new research as well as patient and consumer demand. What was once considered "alternative health care" is no longer the alternative. Blue Lakes Chiropractic and Blue Lakes Medicine are on the leading edge of integrative medicine in Twin Falls, ID. Finding the right Twin Falls chiropractor or physician can be difficult. The good news is that you no longer have to choose between seeing a chiropractor in Twin Falls or your family doctor. I am confident that our providers and staff at the Blue Lakes Clinics are a good fit for you and your family. The other providers and I at the Blue Lakes Clinics are committed to promoting healthy lifestyles and providing quality, accessible chiropractic and non-surgical medical spine care to the communities of Twin Falls, ID and the Magic Valley. We want to be your primary spine care providers.We invite you to become part of our vision for better spine care in Twin Falls, ID. I welcome you to browse our web site and visit our clinic. When you do, please introduce yourself, or simply send us an email. I am always happy to share our clinical experiences with you. Dr. Rusty Arrington is a Twin falls chiropractor and nurse pracitioner with 15 years of clinical experience. 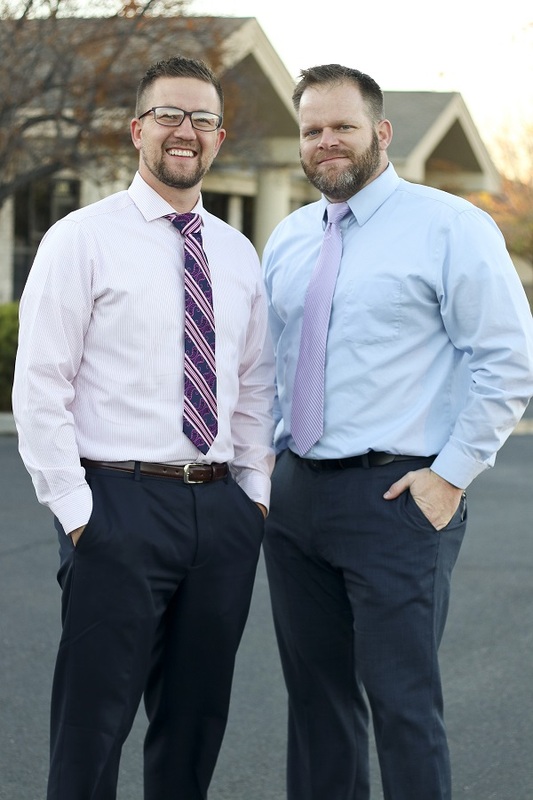 He provides chiropractic and non-surgical medical care to patients in Twin Falls, ID. Dr. Tanner Wray is a skilled Twin Falls chiropractor, he is fluent in spanish. If you suffer from back pain, neck pain, headache, sciatica or have been in an auto collision, Blue Lakes Chiropractic and Blue Lakes Medicine can "Get you BACK to being YOU"! Call our office at (208) 734-9531 for an appointment today!